"Europe is not just institutions and legislation, it's people getting together, feeling as one!" Listen to the (maybe) future MEPs from on . 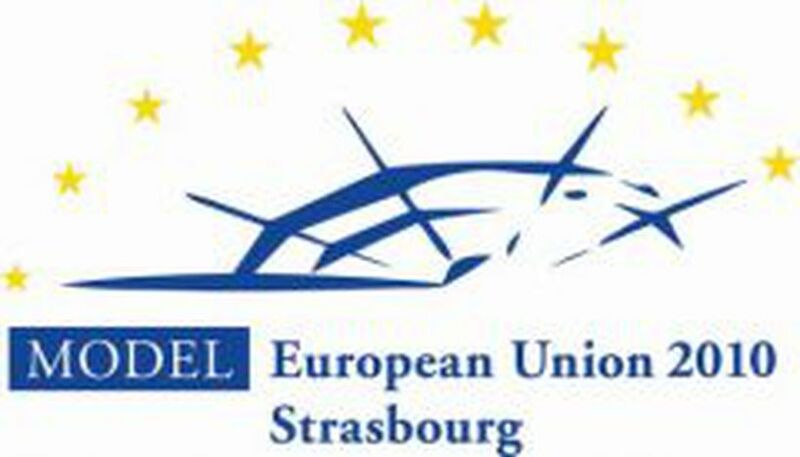 took place in the European Parliament in Strasbourg. 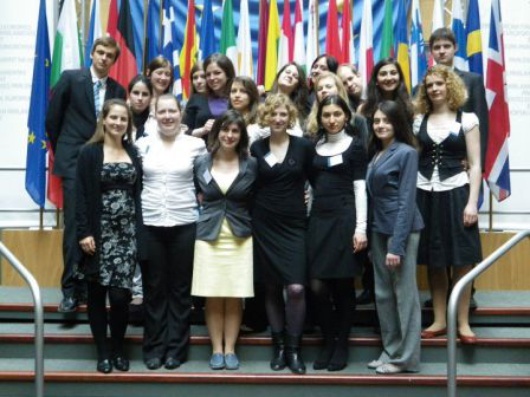 Designed to give the participants an overview on the way European politics is made, MEU 2010 gathered a wide variety of young and enthusiastic people who were given the roles of Members of the European Parliament, Members of the Council, Journalists, Lobbyists and Interpreters. The two topics to be discussed were GMO and the "Return's directive", both highly contradictive and - as the participants proved with their long and passionate discussions - interesting for the young generation in Europe. Given the opportunity to feel like real politicians in the premises of the EP, the participants used the opportunity to get together - not only while discussing strategies, plotting against their political enemies and convincing their partners, but also while using the social program to interact with their fellows from all parts of Europe. “They do not only learn about the co-decision, they train their argumentation, language and, most of all, intercultural and diplomatic skills, and they get to see their efforts work - or not - in real time, and in an European environment, as participants are European as well. That is living the European spirit“, says Inês Nascimento, Director-General of the MEU 2010. "The European Union is not just another abstract institution that works beyond and without us. It is us." Elena Faloutsou, a Member of the Council, representing Malta, is convinced that in this one week she learnt something much more important about the EU than the obvious that was expected. "Model European Union taught us indeed a multitude of things: not only public speaking, negotiating, diplomacy, European Law and Affairs, but also that the European Union is not just another abstract institution that works beyond and without us. It is us. I am confident in saying that we proved the European identity existent", says Elena. 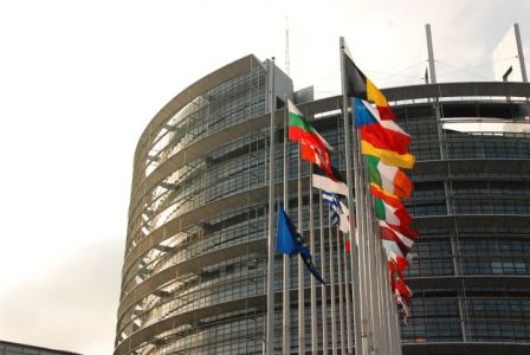 While the Council members had to find compromise between their respective countries, MEPs had another task - to find a common position within their own faction and to negotiate and find allies in other factions. "I focused mainly on conducting "under-the-table" negotiations and introducing amendments. I was also carrying out informal talks during coffee breaks so that I could convince other parties to vote for these amendments. To tell the truth, this "corridor diplomacy" can be as hard as debating in public!”, recounts Marilena Zidianaki, an MEP for the EPP. A group of 15 lobbyists were trying their best to influence the decisions of the politicians by different actions - whether with their presentations, demonstrations or flyers. An active part of the whole process, they had the opportunity to discuss politics at the gala event, organised for Amnesty International. "I have always been involved in international politics and international relations from a theoretical point of view and I was searching for some practice. And the simulation went beyond my expectation: everything was so real and carefully prepared, the people were keen on what they were doing and the atmosphere was like being in a real parliament", describes his experience Filippo Buranelli from the lobbyist team. All discussions, decisions, arguments, but also the bizzare details and personal stories were covered by the press. The young journalists had to take care for two newspapers and were supported by photographers and film-makers. "Work and fun, all in MEU!" This is the conclusion of the journalist Teodora Palma who was engaged in writing for Europe Daily, while her colleages from the print press entertained the MEU group with the tabloid "EU Naked". To make everything as realistic as possible, this year a new role was introduced in the simulation - this of the interpreters. Pairs of interpreters from Germany, Italy and Spain and one from France and Romania experienced what it is like to be in the booths of the EP, to be a vital part of the debates and to have people relying on every word you say. "I learned how it feels to be interpreting a whole day long, and how important a good night's sleep is for the interpreting performance. Also, I learned to deal with many different accents in English, which wasn't always easy. And I learned not to get frustrated when things didn't go perfectly, but to get back into interpreting and try to be better", says Yvonne Richter, a German interpreter. It has passed one week since Model European Union 2010 came to its end. Seven days where 200 people between participants and organizers lived together a truly European spirit inside the walls of the European Parliament. You could feel it: the epicenter of Europe was located in Strasbourg. And it will be again in 2011.